There are times when any business wants a financial push before establishing itself. In such case a lot of banks may put some obstacle in front of them. And government wishes to remove such obstacles. Some small business that are capable of paying microloans were not entertained by private banks prior to Mudra. Government addressed this gap and decided to offer help to the small business that needed microloan. How this loan scheme works? In Shishu scheme, business are given the loan from 50K to 1 Lakh. In Kishor scheme the loan up to 5 lakh is offered. In case of Tarun scheme, business that requires loan upto 15 Lakh are given. There is no collateral for the Shishu and Kishor scheme of loans. There is no processing fee of any sort from any banks. You can repay this loan in the period of upto 5 years. You have to either download or ask for the scheme enrollment form from nearby bank. 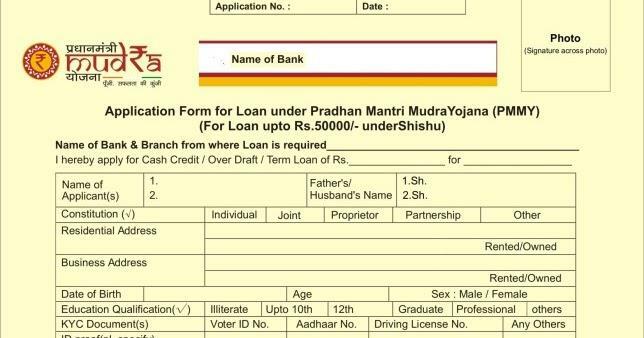 You'll find this form in banks which are offering this service with the partnership with the Mudra bank. 2. Fill out the form and find the commercial or public sector bank under this scheme in your city. 3. Add your business plan along with the application form. 4. Complete the formalities asked by the bank. 5. After the completion of the loan process, it'll be sanctioned. After the loan is sanctioned, the borrower gets the Mudra bank ATM from which he can withdraw the money. 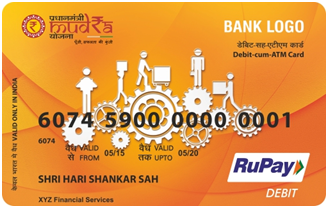 The money from this loan system is distributed using only the RuPay Mudra card. The ATM card is accepted in every ATM that allows withdrawal through RuPay system. Which startups are eligible for this loan? You may find that most of the government schemes are harder to qualify due to they being supportive towards product sector. If you are struggling to find loan for your service sector business then this is one good scheme to check out. A lot of service sector business have benefited from this scheme. Some of the business that can benefit includes - call center, trading, skill based services, computer services etc. Startups working in such fields should definitely take a look at this financing scheme. The most ideal candidate for this loan is people in food industry, textile industry, handmade industry. If your service sector business requires money less than 10 lakh investment then Mudra loan is perfect scheme for your business. Is it good for startups? Startups come into three types - product, service and product oriented service. Most of the product based business may not benefit from the small loan amount in the Mudra loan. They are more suitable for other bank loans and other high priced government schemes. In case of small business and individuals that require loans below 15 Lakh are mainly the focus of this scheme. So startups that require loan of this much limit may benefit from this loan scheme. Tech startups with service based business model should definitely check out this scheme. Most of the education startups, product based startups can't take off their business with the small loan amount from the loan scheme. The Mudra Kishor scheme may not help most of the IT based startups that require a lot of capital for setting up offices and equipment. However small startups that require loans for expansion may benefit from such scheme. Who may not benefit from this scheme? Freelancers and the small business which are yet to acquire their first client, may also find it harder to benefit from this loan scheme. The reason being freelancers need consistent clients for their business and scaling their business model requires loan amount of more than 15 Lakhs. Small business that require expensive machines and bigger budget for the expansion may not benefit from such loans either. So this scheme may not be suitable for the small business in their scaling phase. Mudra Loan may not be the suitable loan scheme for all emerging startups. However there are many small business and services that can benefit from this loan. A lot of small service based companies are benefiting from one of the models of this scheme. If any business that require some funding to establish themselves and if they can repay this loan, should definitely try this scheme. That was a very useful piece of information. The schemes look quite lucrative, but are there any such schemes available in State Bank of India? Rest I wanted to know if Mudra Bank has branchees in every city, as I haven't come across one till today. SBI is taking MUDRA applications and is allowed to process the loan under all three categories. MUDRA's own banking infrastructure is yet to established in all cities. So if any city has PSU bank then that bank should be able to process this loan. In case of PSU bank the loan rate would be 8-9% whereas in case of private bank it'd be 10-14%. This varies per city and state, so it's hard to specifically mention above. Some PSU banks that process MUDRA applications are - IDBI, Canara bank, Union Bank, Dena bank etc. Okay, then we can avail these loans easily from any location. Thanks for updating the information.